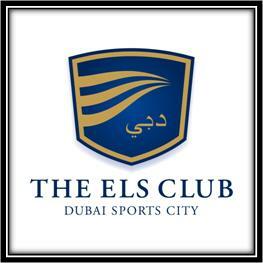 Els Club at Dubai Sports City is an exciting place to relish memorable moments. It portrays an incredible environment and incorporates the natural dune and scenic views in its surroundings. There is a challenging course which offers a competitive environment for the best players in the world while providing an enjoyable experience to all the golfers. The course is spread over a vast area of 7,538 yards accompanied by four sets of tees, which allows players a variety of options and lengths from which to play. In addition, there is a modern Butch Harmon School of Golf which comprises of highly qualified and TPI certified instructors along with video and 3D analysis. You can use the Troon Executive Card to avail the many excellent facilities at competitive rates. This card will give you access to all the top notch facilities that they offer. This is perfect for the whole family especially if your kids love to play golf. Get ready for some good healthy quality family time as you enjoy the family golf facilities. If you are a part of a group or corporate golf team then you will definitely enjoy these facilities as there is nothing better to unwind then play a round of golf. You can avail the excellent facilities for weddings and functions. You will want to discuss with the management about the rates and availability of these services. You can take advantage of this facility if you want to rent out the club for a special occasion or company gathering. Convenient tee times are a real plus for the avid golfers as they want to get out on the course to have a nice day playing a round of golf. Obtaining membership will give you exclusive access and discounts to different top class facilities that they offer. Els Golf Club remains open throughout the week. Its operational hours start at 6 in the morning and ends at 7pm. If you have the time then try to squeeze in a round of golf during their operating hours. Els Gold Club is located in the heart of Dubai’s Sports city. In order to visit Els Golf Club in Dubai, you have to head towards Emirates road near Business Park Motor city, where you can easily locate your required destination.